Got this as a present for my niece. 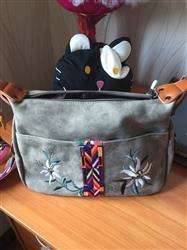 It's bigger than most of the little kid purses I found but not too big so it's perfect for a tween. Picture accurately shows what to expect as far as color and design, and it's very pretty. Would make a memorable gift. 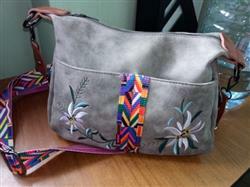 Lovely design of handbag embroidered with beautiful colors. Arrived promptly and well packaged. Would make a memorable gift. Thank you for such a beautiful item! I received my purse yesterday & absolutely love it! It is even prettier than the picture ad. No more aimless searching for an item. Thank you for such a beautiful item!